Dr. Jianlin Cheng’s research is focused on bioinformatics, systems biology, machine learning and data mining. To date, his group has designed and developed a variety of cutting-edge computational methods for protein structure and function prediction, proteomics, genomics, biological network simulation, and general machine learning. His protein structure prediction methods were ranked among the best in the last three consecutive biannual Critical Assessment of Techniques for Protein Structure Prediction (CASP7, CASP8, and CASP9), from 2006 to 2010. 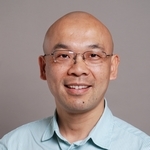 The bioinformatics tools and web services produced by Dr. Cheng’s research are publicly available and used by life scientists from around the world.